What are your omega 3 needs? Well, the answer is different for each individual. But don’t fret. This article will help you determine how much omega-3s you need each day. The amount you need to achieve an omega-6: omega-3 ratio of no greater than 4:1. One way to do this is to take the dose recommended on the label of the omega-3 supplement you choose. After three months, check to see where your omega-6: omega-3 ratio is by re-taking the Omega Quant Omega-3 Index test. Then, you will have enough information to estimate your omega-3 dosage needs. You’ll need to do the following exercise, which will take you about 10 minutes each day for 5 days. But more on that in a minute. Is it necessary to know my omega 3 needs? You may be thinking, why should I be doing this? First, you will see the real omega-6: omega-3 ratio that YOUR current diet is actually providing YOU. 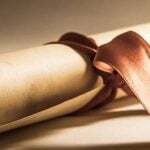 The saying, “Knowledge is power,” truly applies here! Once you know where you are, you may choose to modify or tweak your diet to give you a healthier omega-6: omega-3 ratio. Secondly, you will KNOW, not just be guessing at, how much supplemental omega-3 (EPA/DHA), you need for your best health. If your goal is a ratio of omega-6: omega-3 of 4:1, then you will need 1 gram of EPA/DHA (the key anti-inflammatory forms of omega-3) for every 4 grams of AA (the key pro-inflammatory form of omega-6) your diet is giving YOU. This ratio is considered adequate; it is at the lower level of the “desirable” range of the Omega-3 Index. If your goal is a ratio of omega-6: omega-3 of 2:1, a ratio that is considered optimal, then you will need 1 gram of omega-3 (in its EPA and DHA forms) for every 2 grams of omega-6 (in its AA form) that your diet is giving you. Okay, he wasn’t talking about knowing your omega-6: omega-3 ratio, but knowing where YOU are (and how your diet is contributing to where you are) can help you become health-wise. You can use this personal wisdom to help optimize your health. Throughout the rest of this article, “omega-6” is used interchangeably with and refers to Arachidonic acid (AA), which is the key pro-inflammatory form of omega-6. “Omega-3” refers to Eicosapentaenoic acid and Docosahexaenoic acid, which are the key anti-inflammatory, cardio-, neuro- and bone protective forms of omega-3. To determine how much supplemental EPA/DHA you need for optimal health, what matters most is that you are consuming enough EPA/DHA (omega-3) to maintain proper balance with your intake of AA (omega-6). As I’ve mentioned, experts vary in their opinion of what this optimal balance should be. Many say a ratio of omega-6: omega-3 of 4:1 is sufficient; others believe that an optimal balance is 2:1. You only need to track your EPA/DHA and AA intake, and not also your intake of the parent forms of the omega-3s (alpha linolenic acid, ALA) or omega-6s (linoleic acid, LA), both of which are found in plant foods. How much of these parent compounds – ALA and LA — you are consuming has much less impact on your omega-6: omega-3 ratio than your dietary intake of the omega-6 fatty acid, arachidonic acid (AA) compared to that of your dietary intake of the omega-3 fatty acids, EPA and DHA. Here’s why: Humans are not good at converting either LA to AA or ALA to EPA. ALA (alpha linolenic acid) is the type of omega-3 present in plant foods (and in some meats, but in amounts too tiny to have impact). The ALA in plant foods does help lessen inflammation by competing with the parent omega-3, linoleic acid (LA) for the enzymes that metabolize both of these essential fatty acids, but, as explained next, ALA’s effect is minimal compared to the inflammation-fighting effects of EPA and DHA. The majority of the omega-3s’ beneficial effects are produced by EPA and DHA, the two kinds of omega-3 found not in plants, but in fish and seafood (and in the brains of land animals, but animal brains are no longer on the menu. An interesting fact that suggests how important EPA and DHA are for our brains: some anthropologists think that the eating of animal brains by our very distant ancestors may have been a primary factor in humans’ developing bigger brains and intelligence). EPA and DHA are the forms of omega-3 that are effective in reducing inflammation and promoting bone, brain and cardiovascular health. EPA is used to produce a number of anti-inflammatory derivatives, including the resolvins, which as their name implies, help resolve or put a stop to inflammatory processes. EPA is also associated with a number of protective actions in our cardiovascular system. 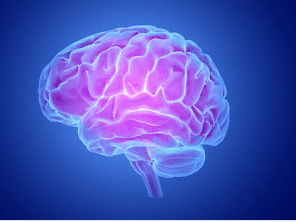 DHA is the omega-3 that is essential for healthy brain development and good brain function throughout our lives, as the name of one of DHA’s derivatives, the neuroprotectins, indicates. LA (linoleic acid) is the form of omega-6 found plant foods. AA (arachidonic acid) is the type of omega-6 found in meats and dairy products (and in farmed fish) in significant amounts. AA, not LA, is the pro-inflammatory omega-6. Although LA has the potential of being metabolized into pro-inflammatory AA, in actuality, hardly any LA gets converted into AA. In humans, the first step in our metabolism of LA is its conversion into an anti-inflammatory compound called GLA (gamma linoleic acid). Some of the LA we consume becomes GLA, some LA gets burned as fuel to produce energy, and not much is left to be converted into AA. Our ability to convert ALA to EPA and DHA is also very poor, especially in men. Women are able to convert a small amount of the ALA our diets provide into EPA. Women convert 21% of the ALA they consume into EPA. Then, women are able to convert an even smaller amount of the EPA they derive from ALA into DHA. About 9% of the EPA women produce from ALA is then converted to DHA. What does this mean in real life terms? Let’s say you’re a woman who eats lots of ALA-rich vegetables and salads and even uses a tablespoon of flaxseed oil as her salad dressing. Even so, your ALA intake will rarely exceed 9 grams/day. How much EPA and DHA will 9 grams of ALA give you? You will convert about 21% of your ALA into EPA: 21% of 9 grams = 1.89 grams. (To find 21% of any number, multiply that number by 0.21, so in this case: 9.0 x 0.21 = 1.89) How much DHA will you produce from that 1.89 grams of EPA? Just 9% of it (0.17 grams) will be converted into DHA (1.89 x .09 = 0.17 grams). In other words, a wee bit of EPA, practically no DHA – not enough! If you’re a man, here’s a real life example. 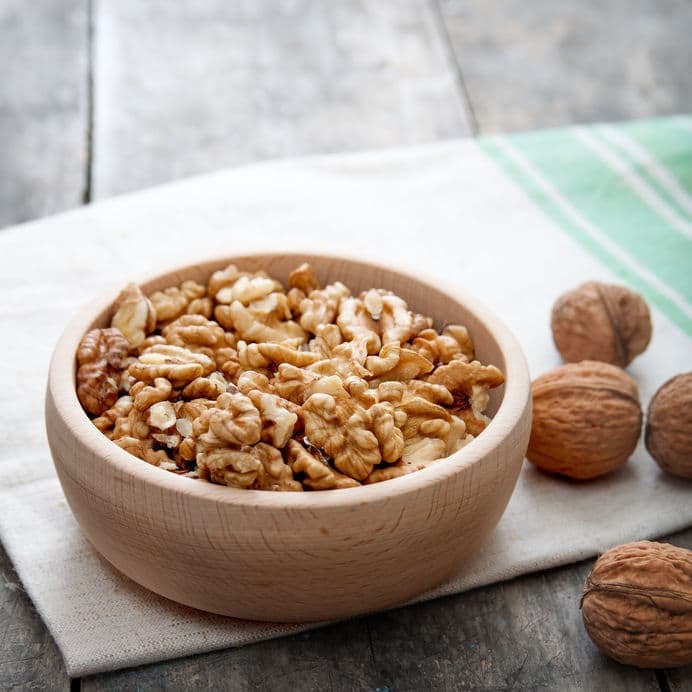 Let’s say today you snacked on a handful (1 ounce) of walnuts. This gave you 2.57 grams of ALA. And you had a salad with a dressing containing a tablespoon of canola oil (add another 1.28 grams of ALA) along with a medium-size cheese pizza, (add 2.12 grams of ALA). Okay, you’re now at 5.97 grams of ALA for the day. Let’s round that up to 6 grams. If you’re like most men, you’ll convert around 5% of that ALA to EPA, which will give you 0.3 grams of EPA. Even if your genetic inheritance has gifted you with the ability to convert 8% of the ALA you consume into EPA, you’ll still only get 0.48 grams of EPA, and no DHA. Not enough to have much impact on your health. Nonetheless, if you are a man and would like to track your ALA intake and analyze its impact on your EPA total, you can use the Omega-3 and Omega-6 Content of Commonly Eaten Foods list and your diet diary to do so. Just take 5-8% of your total ALA and add the resulting amount to your EPA total. Full instructions are given in How to Use Your Omega-6: Omega-3 Diet Diary. For these reasons, whether you’re a man or a woman, the most important factors in your food diary are your dietary intake of the AA present in the foods you eat (primarily meats, dairy products and farmed fish), and the EPA/DHA present in the foods you eat (primarily fish, preferably wild caught). 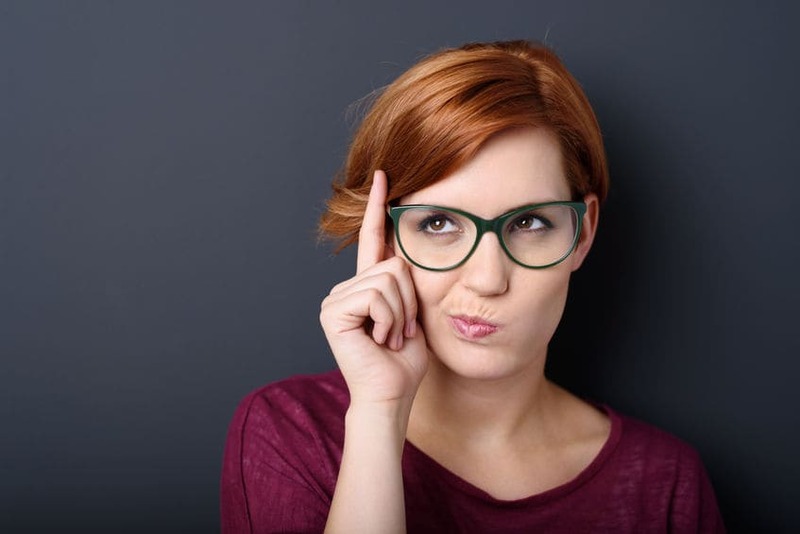 I’ve provided the information you need in case you decide you want to track your ALA intake, but even if you are a woman, it won’t make a big difference to your EPA total, and is highly unlikely to affect your DHA total. Below, I’ve provided a list of the commonly eaten foods that are our primary sources of the omega-6 fatty acid, AA (arachidonic acid), and omega-3 essential fatty acids, EPA and DHA. Take a minute to just look over the list, so you will have an idea of the foods that contain either EPA/DHA or AA – primarily eggs, dairy products, meats and fish. These are the foods whose consumption you will want to track in your diet diary. If you also would like to track your intake of ALA, the information you need to do so is provided in the food list as well. You’ll see that this list tells you how many grams of AA or EPA/DHA is present in a typical serving. 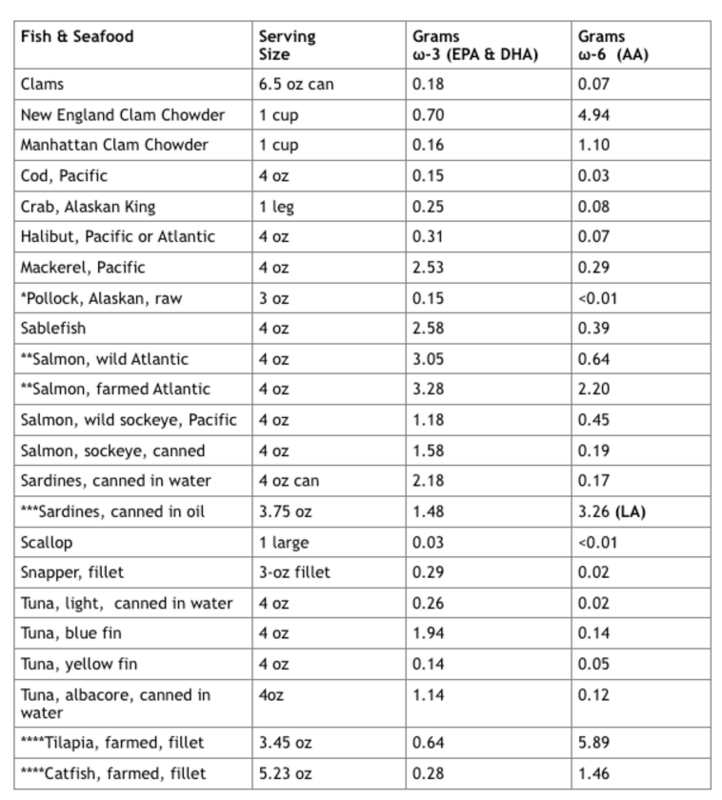 Print out a copy of this list: “Omega-3 and Omega-6 Content of Commonly Eaten Foods,” and use it to see how many grams of AA or EPA/DHA one serving of the foods you are eating is giving you. Each day, enter the number of servings you have had of any of the foods on the list that contain AA or EPA/DHA. And, if you wish, also enter the servings you had of the foods on the list that contain ALA. If you are eating more than 1 serving of a food, don’t forget to increase the number of grams of ALA, EPA/DHA or AA it contains. For example, looking at the Omega-3 and Omega-6 Content of Commonly Eaten Foods list, in the Fats & Oils section, you’ll see that one serving of butter = 1 teaspoon. Let’s say you had 2 slices of toast and used a teaspoon of butter on each slice. That’s 2 servings. Then, at dinner, you used a tablespoon of butter to season a baked potato; that’s another 3 servings. So, during your day, you have had 5 servings. Each serving has given you 0.04 grams of ALA or a total of 5 x 0.04 = 0.2 grams of ALA, and 0.31 grams of AA or 5 x 0.31 = 1.5 grams of AA. So, in the Total ω-3 ALA column, you’ll write 0.2, and in the Total ω-6 LA, AA column, write 1.5. If you use Excel, you can enter numbers into an Excel spreadsheet that will automatically tally them for you. I just used my iPhone calculator – it was easy. To do this, add up the total amounts of the EPA/DHA (ω-3) your diet gave you each day and divide by 4 for 4 days or 5 for 5 days to get the average daily amount of EPA/DHA your typical diet is providing you. Do the same for your AA intake. Add the total amounts of the AA (ω-6) your diet gave you each day together and divide by 4 for 4 days or 5 for 5 days to get the average daily amount of omega-6 your typical diet is providing you. For example, if your total AA intake over the 5 days was 100 grams, you would divide 100 by 5 to get your average daily intake of ω-6, which would be 20 grams per day (this is the amount of AA most Americans are consuming every day). If your total EPA/DHA intake over the 5 days was 5 grams, you would divide 5 by 5 to get your average daily intake of ω-3. 5 ÷ 5 = 1. So your average daily intake of EPA/DHA (ω-3) is 1 gram per day (which is about how much most Americans are consuming daily). To see how many grams of EPA/DHA you require to maintain an omega-6: omega-3 ratio of 4:1, divide the average daily amount of AA your diet is providing you by 4. The resulting number is how many grams of omega-3s (EPA/DHA) YOU need to be getting 1 gram of EPA/DHA for every 4 grams of AA you are consuming. If you are consuming an average of 20 grams of AA each day, for an ω-6: ω-3 ratio of 4:1, you would divide 20 by 4. 20 ÷ 4= 5, which means YOU need 5 grams of EPA/DHA each day to achieve a 4:1 ratio of omega-6: omega-3. You know from already having figured out your average daily EPA/DHA intake (in Step 5) that you are consuming just one gram of EPA/DHA daily. Since you need 5 grams per day, but are just getting 1 from your diet, you need 4 more grams of EPA/DHA to maintain an omega-6: omega-3 ratio of 4:1. To get the 4 additional grams of EPA/DHA you need, you can adjust your diet to give you more EPA/DHA and less AA (for example, eat more EPA/DHA-rich wild caught fish and less meat over the course of the next 4-5 days) or supplement with 4 grams of omega-3 (EPA/DHA) per day. Or a combination of both, which I what my husband, Dr. Joe Pizzorno and I did after we kept and analyzed our own diet diaries. My husband, Dr. Joe Pizzorno, and I kept our own diet diaries for 5 days. What did we learn? Despite eating a very healthy, whole foods diet, both of us require supplemental EPA/DHA to reach even a 4:1 omega-6: omega-3 ratio. We are “pescatarians,” which means we eat fish, dairy products and eggs, but no meats. On the days we did not eat any fish, our EPA/DHA intake averaged less than 1 gram per day! Even though our AA intake was also very low because we do not eat meat, our AA intake still averaged 8 grams per day (more on the days we ate pizza or nachos). So, our average omega-6: omega-3 ratio was 8: 1, actually 8 to less than 1! To reach an omega-6: omega-3 ratio of 4:1, we needed to increase our intake of EPA/DHA from less than 1 to at least 2 grams a day. To reach an omega-6: omega-3 ratio of 2:1, which is our goal, we needed to increase our EPA/DHA intake from less than 1 to 4 grams a day. We decided to make some small changes to our diet AND to take Triple Power Omega 3 Fish Oil, daily. We are now taking 2 tablespoons of Triple Power daily, which is giving us 2.4 grams of EPA/DHA every day. (One tablespoon provides 750 mg EPA and 450 mg DHA or 1.2 grams EPA/DHA, plus another 280 mg of other omega-3s, so 1.5 grams of omega-3s in all). We will re-test our Omega-3 Index (using the Omega Quant finger prick test) in 3 months and expect to see improvements from on our first Omega-3 Index test results, which showed Joe’s omega-6 (AA): omega-3 (EPA/DHA) ratio at 5.5:1 and mine at 4.1:1. I’m guessing my ratio was a bit better because I eat a lot of ALA-rich vegetables, and, as explained above, women are much better at converting a wee bit of ALA into EPA than men. We’re also eating more fish! We’re trying to eat fish at least 3 times a week now. Below is an example of what your commonly eaten foods list looks like. In addition to fish and seafood, it will also contain cereals, nuts, vegetables, meats, eggs and dairy. Download this printable PDF here. **Farmed versus wild salmon: as the numbers in the above table clearly show, wild salmon are a significantly better source of usable omega-3s than are farmed salmon. As we discussed in prior articles: Why the Omega-3 Fatty Acids, EPA and DHA, are Crucial for Healthy Bones, Omega-3s Prevent Our Bones and Muscles from Turning into Fat as We Age, and Why the Modern Western Diet Will Not Provide You with the EPA/DHA You Need , the omega-3s and omega-6s compete for the enzymes that metabolize them into their derivative compounds. When less omega-6 is present to compete with the omega-3s, more omega-3s will be used to produce anti-inflammatory, bone, brain, anti-cancer and cardio-protective derivatives. *** The omega-6 found in sardines canned in vegetable oil is linoleic acid (LA), not arachidonic acid (AA). ****Farmed tilapia and catfish: As you can see from their omega-6: omega-3 content in the above table, neither farmed tilapia nor farmed catfish are good choices to restore a healthful omega-6: omega-3 ratio. Steak has the lowest omega-6: omega-3 ratio (5.75:1) of all the meats. Pork has the highest: 21:1. Omega-3-rich eggs are worth the extra money. Their omega-6: omega-3 (AA: EPA/DHA) ratio is 4.9:1, while that of eggs from conventionally caged and fed chickens is 16.8:1. Don’t rely on fish sticks or breaded and fried fish to give you the AA: EPA/DHA balance you need for healthy bones! These products often contain more omega-6 than omega-3! You will be much better off eating canned salmon (all of which is wild-caught) than farmed salmon. A recent study evaluated “The Content of Favorable and Unfavorable Polyunsaturated Fatty Acids Found in Commonly Eaten Fish,” and revealed that the average omega-6: omega-3 ratio (arachidonic acid:EPA ratio) in farm-raised tilapia was 11:1! Two of the fish samples that had been harvested in Central America contained greater than 20 times more arachidonic acid (the highly pro-inflammatory derivative of the parent omega-6, linolenic acid) than EPA! Farm-raised tilapia and catfish contained an average of 134 mg and 67 mg arachidonic acid, respectively, and as just mentioned, some tilapia samples from Central America contained more than 300 mg of arachidonic acid in a 3 ounce (100-gram) portion. To Download Your Omega-3 and Omega-6 Content of Commonly Eaten Foods PDF, click here. Did this article give you the information you needed to discover your omega 3 needs? Let me know in the comments below! Good info, as usual! I’d also like numbers on farmed rainbow trout, and would organic eggs be more like Omega 3 eggs or conventional? What’s the omega-3 content of farm-raised trout? Here’s the simple answer. At least according to Cronometer, 4 ounces of farmed trout contains 1.2 grams of n-3 and 0.72 grams of n-6 – which is excellent. The more in-depth answer gets a little tricky, although you can still assume farm-raised trout have a healthy ratio of n-6:n-3. In the comprehensive paper by Weaver et al., Weaver KL, Ivester P, Chilton JA, et al.The content of favorable and unfavorable polyunsaturated fatty acids found in commonly eaten fish. J Am Diet Assoc. 2008 Jul;108(7):1178-85. doi: 10.1016/j.jada.2008.04.023. PMID: 18589026 the ratio of n-3:n-6 for farm-raised trout was sometimes as good as 2:1; however, Weaver et al. note that amounts of n-3 and n-6 varied considerably depending upon where the fish was sourced. Bottom line: IF you are going to eat farm-raised fish, trout are your best bet for getting omega-3s. 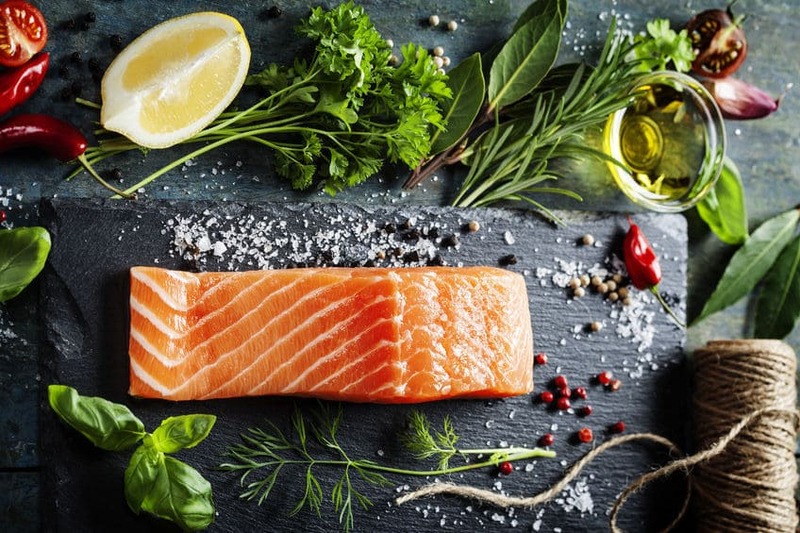 (1) Omega-3s are not all EPA and DHA – the omega-3s found in the fish (i.e., trout) include hexadecatrienoic acid (18:3 n-3); stearidonic acid (18:4 n-3), eicosatetraenoic acid (20:4 n-3); and docosapentaenoic acid (DPA, which is 22:5 n-3 – as well as EPA and DHA. So, when you say 4 ounces of farm-raised trout is giving you 1.2 grams of n-3, this does not mean that you are getting 1.2 grams of EPA/DHA. (2) Farm-raised fish typically contain more toxins overall than their wild-caught brethren. Farm-raised fish absorb PCBs and dioxins because the near-shore waters the farms occupy are the first stop for run-off from land-based sources of pollution. Yes, trout farms filter their water, which helps. Also because much of the feed given farmed fish comes from conventionally grown land crops, their diets include pesticide and herbicide residues. And, most farmed fish are given dose after dose of antibiotics to keep diseases and pests under control in the crowded underwater enclosures in which they spend their lives. Regarding eggs: Their omega-3 content depends on how the chickens are raised and what they are fed. I’d check the information provided on the egg carton. If the eggs are from free range chickens, particularly chickens that roam around in pasture, they will be rich in the parent omega-3, alpha linolenic acid and low in omega-6. If the chickens are at least not caged and are given organic feed that includes flaxseed meal, their eggs will contain alpha linolenic acid, will be lower in omega-6, and will be free of pesticide residues. If the chickens are caged and fed non-organic grain/cornmeal (i.e., conventionally kept and fed), their eggs will contain lots of omega-6, little omega-3, pesticide and possibly antibiotic residues. Think about this. Your body also absorbs what is in the food you eat. Avoid foods that will give you PCBs, dioxins, pesticide and antibiotic residues! All of these toxins promote inflammation and bone loss.